Wiz Khalifa dropped his highly anticipated Taylor Allderdice mixtape on Tuesday. The free project became available for download around 9 p.m., but when Wiz tweeted out the link, it crashed mixtape hub DatPiff. 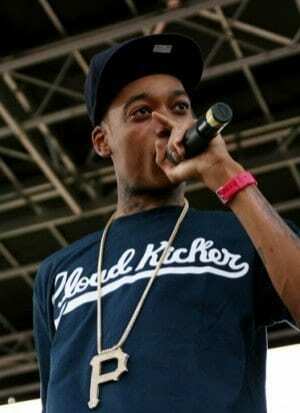 Wiz Khalifa’s Taylor Allerdice, named for his Pittsburgh high school, features plenty of West Coast jams and (of course) smokers’ anthems with appearances from Wiz’ fiancé Amber Rose, Rick Ross, the Taylor Gang signees Juicy J, Chevy Woods and LoLa Monroe, plus production from Lex Luger, Rob Holladay, Cardo and Sledgren. He also explained why the collaboration with Cam’ron is featured on the album, instead of Taylor Allerdice. “I did that more justice than putting it on the mixtape, because I’ve been waiting for that collaboration forever,” he said. For fans who were disappointed with Rolling Papers, Taylor Allerdice is closer to the hard hitting style Wiz Khalifa revealed on Kush & Orange Juice, and we can only hope O.N.I.F.C. will do the same. Previous ArticleEncyclopedia Britannica gets digitalNext ArticlePi Day is finally here!